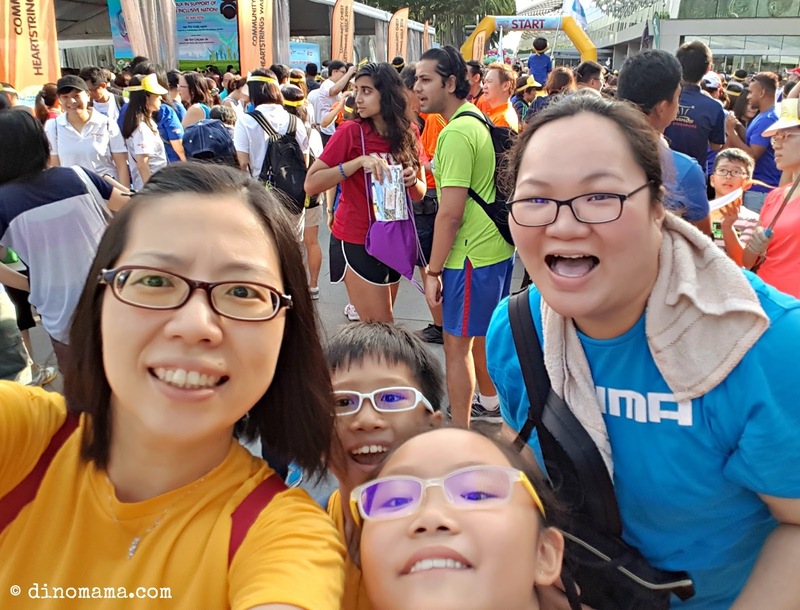 Our 2016 goal of participating as many family run and walk is successful, on 31 July 2016 we added Community Chest Heartstrings Walk 2016 to the list! This is an inclusive family event that offers opportunities for people with and without disabilities to interact. Since this is a charity walk, the SGD10 registration fee will be channeled to charities supported by Community Chest. On that morning, more than 7000 people gathered to be part of this meaningful cause, signifying our concerted effort in creating awareness for people with disabilities. We see many groups of people from various organisation supporting the cause, kudos to them! 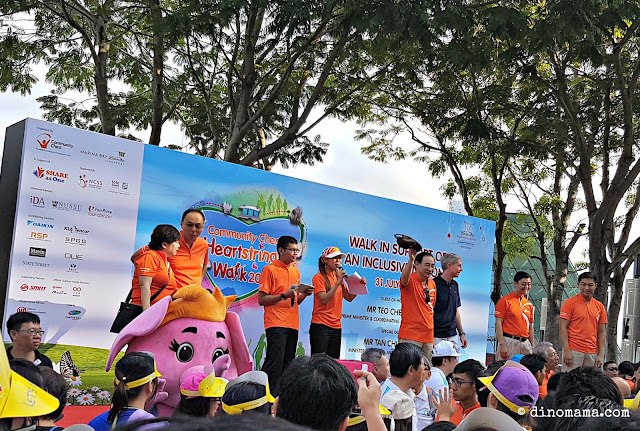 Among the participants of the Walk were ambassadors from the on-going “See The True Me” campaign that was recently launched in early June to encourage greater awareness and appreciation of persons with disabilities. They were present with their families – Chen Wanyi, who has Down Syndrome; Ivan Gomez, who has autism and Ong Peng Kai, who has cerebral palsy. Additionally, at the forefront of the morning activities will be 18-year old Muhd Aqram bin Mohd Yazed, a young man with autism, who will be the co-emcee for the event. 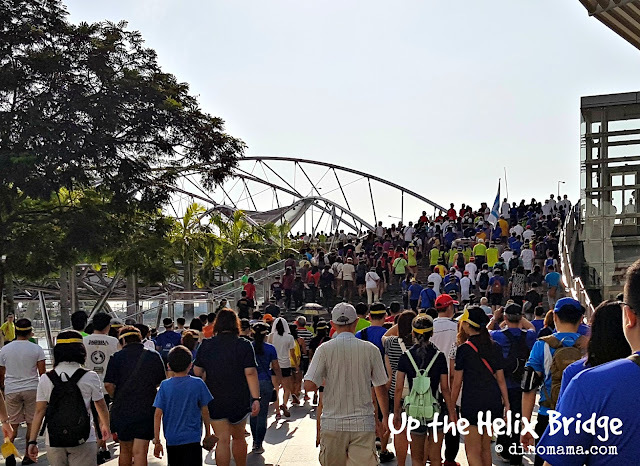 Our 4km Fun Walk was flagged off by Guest-of-Honour Deputy Prime Minister Teo Chee Hean and Special Guest, Minister for Social and Family Development Tan Chuan-Jin. Yes, a photo in front of the Starting Point is a MUST! The Walk was held at Marina Bay, a venue that we are so familiar by now because we attended a few other similar events at the same area too but the atmosphere and feelings for each event is different depending on the nature of the event; fun run or walk, competitive or not. This time as some of the participants have either visual or physical disabilities the pace was slow and steady. I admire their persistent even though we have to walk up & down slops and flights of stairs, they did not give up nor complain, enjoying the walk like everyone. I applause the volunteers or caregivers who are pushing those on wheelchairs. It's really a challenge for them especially at some section there were no ramp/slopes for them to push the wheelchairs and they have to carry them down the stairs. Perhaps the organizers can look into such issues when they choose the venue next year. 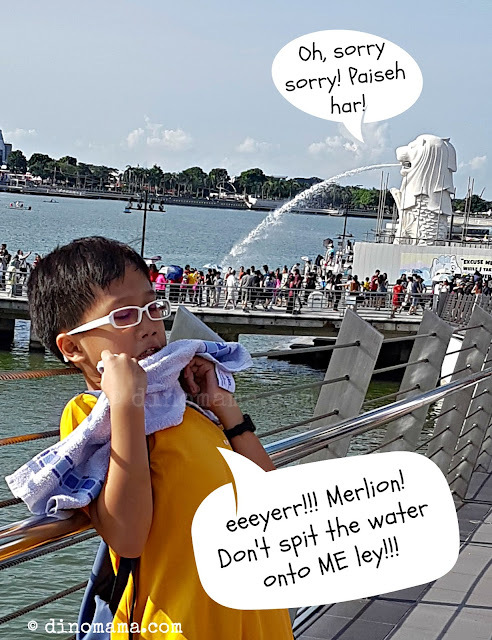 We really took our time to walk, finishing at about one hour later, we stopped frequently along the waterfront promenade to enjoy the beautiful view of Singapore River, we even took time to take some fun photos with Merlion. Of course a photo at the Finishing Line is a MUST too! 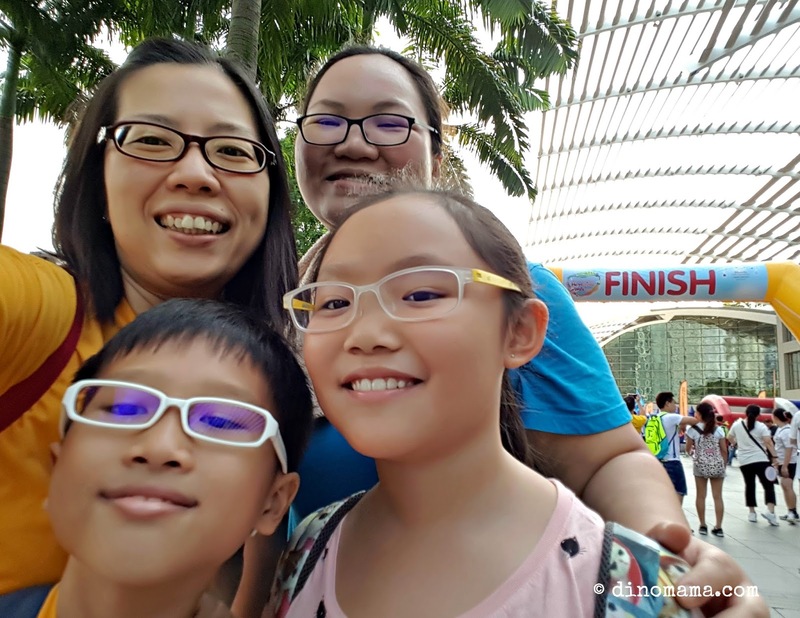 There was a Family Carnival that featured experiential booths to help promote a better understanding of the challenges faced by people with disabilities on a daily basis but I did not have a chance to check it out though the kids did try their hands on a couple of games. I was queuing up under the hot sun collecting our goodie bags. There were just too many people to my liking, yes I don't do well in crowd especially when there are too much loud noises. 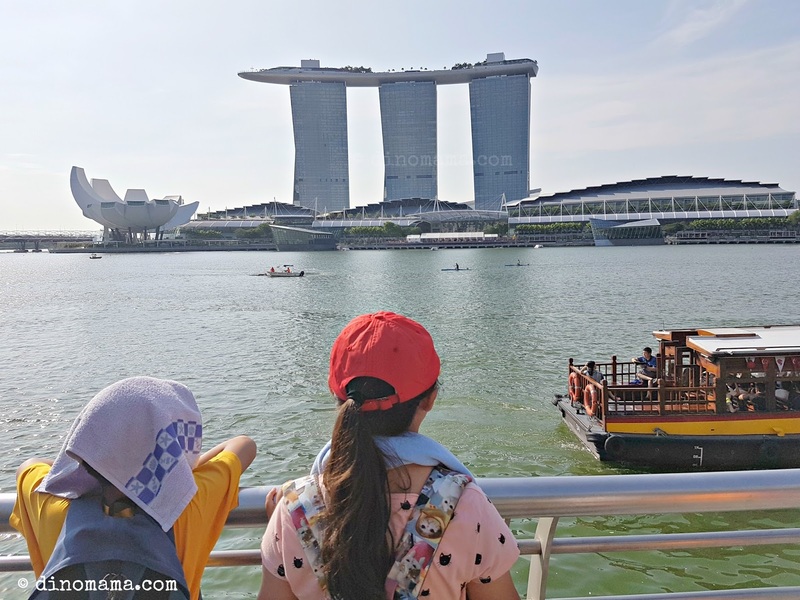 We left and headed off to have our early lunch at DC Comics Super Heros Cafe inside Marina Bay Sands. Check out the photos of that day over at Community Chest Singapore.